Lyco’s founder has 50 years experience building blanchers, cookers and coolers. We are the industry leader having created every new state of the art improvement in the canning and prepared meal markets in the last 35 years. We have increased machine capacity, eliminated under-cooking and over-cooking, and enable the highest quality vegetables, dry beans, pasta, and rice in the industry. We’ve increased pasta yield by 10-15% through gentle Hydro-Flow® agitation. Our equipment designs provide faster cleaning and product change-over. Our new Lyco Easy-Flow™ Coolers can cool particulate food items from 200°F to 40°F in less than 30 seconds. Every machine we make is designed to last for generations with the lowest possible maintenance costs. Since 1985 Lyco Mfg. has been the most innovative company in the food industry. Our blanchers, cookers and coolers are the most advanced, state-of-the-art machines in the world. We’ve increased capacity, reduced process times, and eliminated under-cooking and over-cooking and reduced cooling times by 40% in rotary drum machines. Lyco designs use less energy, less water and produce higher quality in a smaller footprint. Pasta and Rice can be cooled from 200° to 40°F in less than 30 seconds with our newest EASY-FLOW COOLERS. 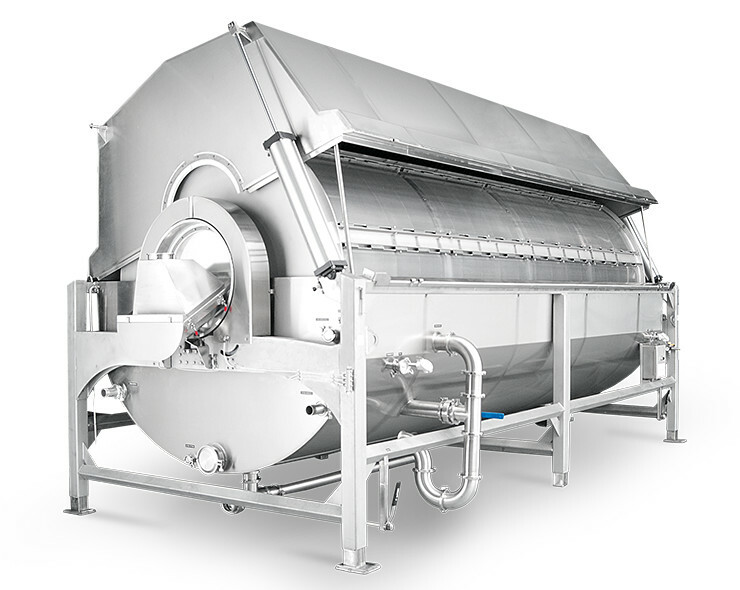 Combination blancher/cooker-coolers were first designed in 1995 for blanching and cooling pasta, rice and vegetables. 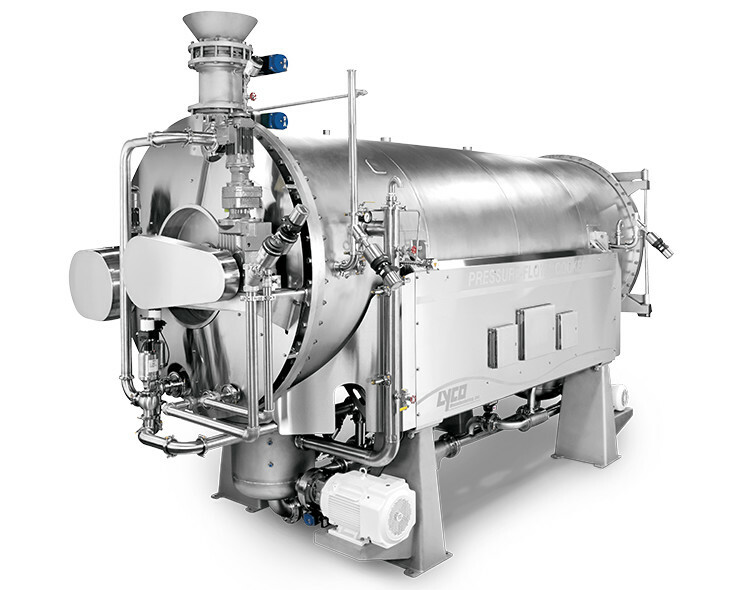 The basic process differences between a blancher, cooker or pasteurizer are retention times and operating temperatures. 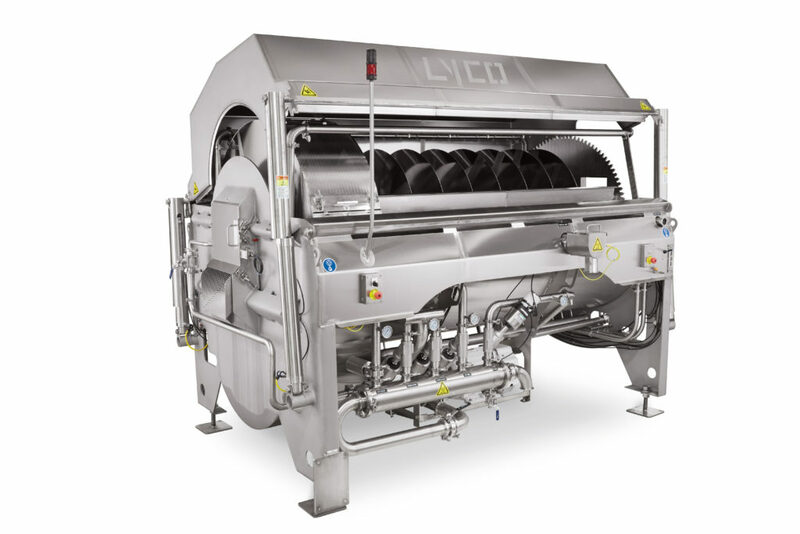 Lyco Cooker-Coolers have the option of doors in the cylinders and clean-in-place manifolds in the cover, the open center flights, and the tank sides. Our combination cooker/coolers have lower maintenance costs and take up much less room than two separate machines and a conveyor in between. The single CIP System cleans both hot and cold zones. Save major floor space with this design. Vapor-Flow Steam Blanchers can switch over from steam to water cooking by simply turning a valve and draining the water from the tank. Water blaching hydrates products, but steam cooking uses 50% less energy and 90% less water. Steam can also increase recovery by 1 to 3% by leaching out fewer solids and nutrients. 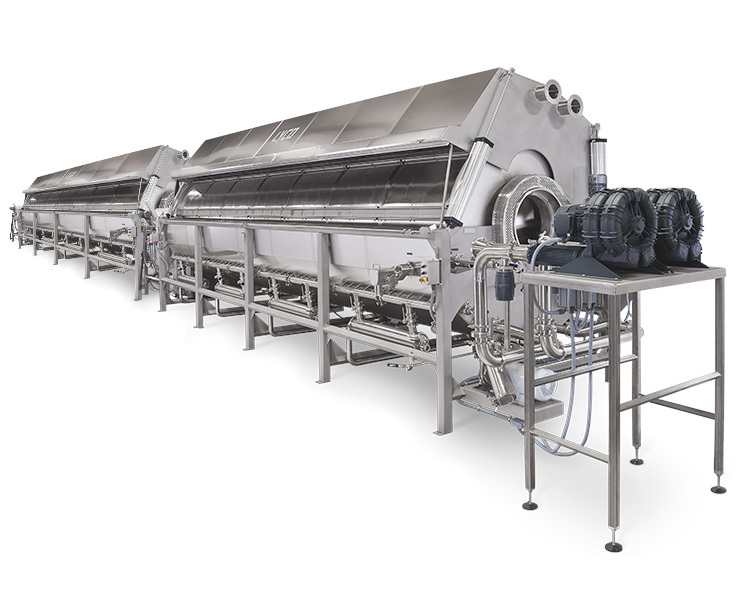 Clean-Flow® Blanchers were developed in 2007 to address the need for faster sanitation cleanup time so that prepared meal operations could run many different products in a day. The Clean-Flow in Place System can clean over 98% by itself. All Clean-Flow designs feature Hydro-Flow® agitation, which guarantees a uniform process. You’re able to achieve a much higher quality product because every food item is individually treated gently. Under- and over-cooking of pasta is eliminated. Losses from sticking and clumping are totally eliminated which increases recovery 10% to 15% compared to European cook-quench-chill systems or batch kettle systems. Clean-Flow designs have an auger with a wedge wire screen located underneath the auger from 3:00 to 9:00 o’clock which contains product between the auger flights during operation. 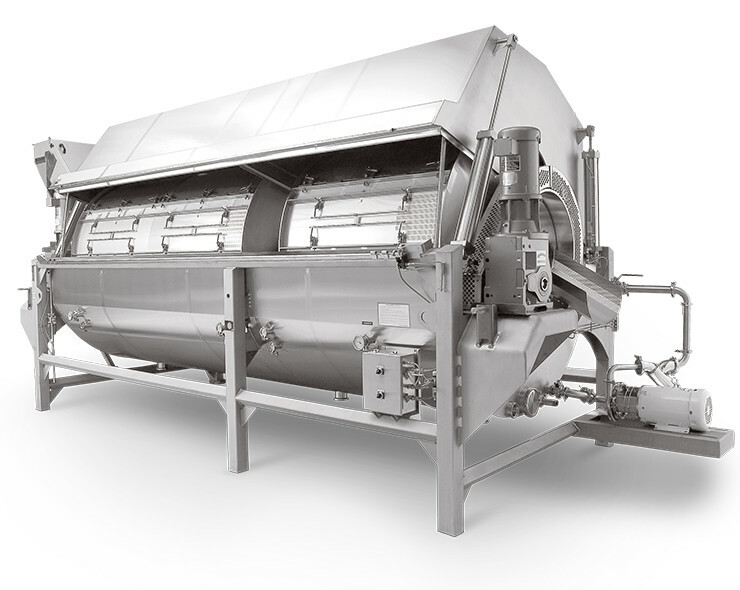 For cleaning, the screen is driven by a large gear which rotates it 360° around the auger. Spray manifolds swiftly clean both sides of the screen and auger. Lyco machines are robust and made to very exacting tolerances, which result in very low maintenance, very high reliability and a higher return on investment. It has literally been called the best pasta, rice and vegetable blancher in the world! 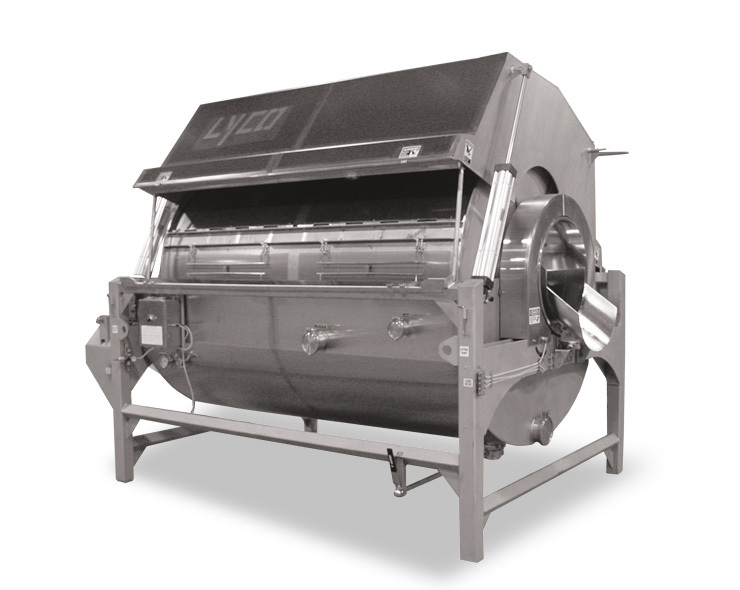 Lyco’s exclusive Thermal-Flow™ system is a two-zone blancher followed by a two-zone cooler. A remarkable amount of heat is removed from the product during cooling and is sent back to the preheat zone of the blancher to reduce energy demands. Similar concepts have been around for decades using one long belt with water deluge blanching on the front half and water deluge cooking on the second half. Belts stretch, fail and are very difficult to clean. They commonly have as many as (22) hydro pumps down the length of the machine. Rotary Drum machines cost less, never wear out, and are easier to clean with a clean in place system. Between up front cost, reducing cleaning time and lower maintenance, Thermal-Flow is the best choice.